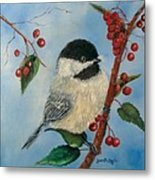 Black Capped Chickadee And Winterberries is a painting by Loretta Luglio which was uploaded on October 6th, 2010. A Black Capped Chickadee and Winterberries. This hardy little bird is a favorite back yard visitor year round. Thank you. Your 'Autumn Leaves' is very nice. I love the palette. Thanks so much Loretta! That comment really brought a huge smile to my day! Check back again sometime as I have quite a bit of new work to upload. Again...many thanks! Thanks for commenting in my discussion today. I thought I would visit your work and I fell in love with your Chickadee. 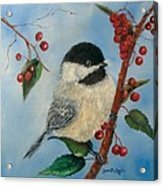 Your Wildlife Collection is very lovely but especially the birds! Thanks, Darla. Your work is superb. I especially like your 'expressions' gallery. I love all your birds! 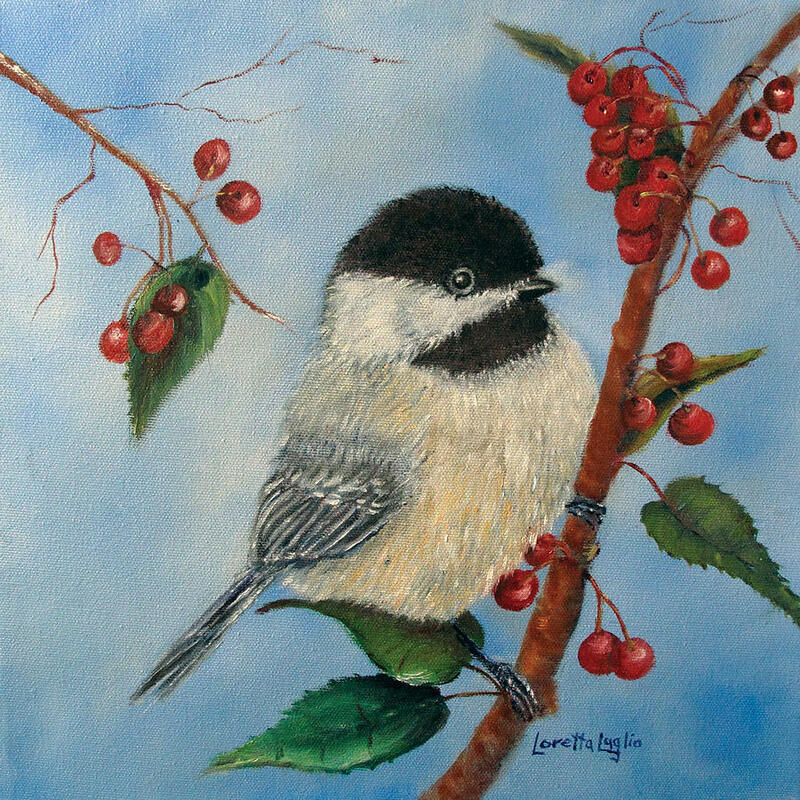 What a beautiful chickadee Loretta!